You'll never run out of outdoor activities to do in Qingdao! This pier was originally built in the Qing Dynasty (but has been rebuilt several times since so don’t worry, it’s safe to walk on) and offers great views of the bay and also Qingdao. It’s especially beautiful at night as it is lit up with lights. The Beijing 2008 Summer Olympics held their sailing competitions in Qingdao and specifically constructed this sailing marina just for the games. Take a stroll down the boardwalk or enjoy some food at nearby restaurants. If you’re a sailing enthusiast, it may just inspire you or your kids to compete in the Olympics one day! This aquarium is the oldest in China! It first opened in 1932 and has been providing underwater entertainment for families and kids ever since. If you ever want to spend the day out in nature while in Qingdao, Laoshan will be your best bet. The lovely views of the ocean, waterfalls, and mountains will make you forget about city life for a few hours. There’s nothing better than fresh air and breathtaking natural environments. Be sure to bring snacks, sunscreen and water as the entire area is huge and you could be outside for quite a while. Qingdao’s Beer Museum is the perfect place to learn about Tsingtao Brewery’s 100 plus years of making beer in Qingdao. A beer is offered along the tour, which is a great way to enjoy any museum. After you’re done at the museum, head over to Beer Street. With over 60 shops and bars to choose from, it’s a great place to end a lovely evening in Qingdao. 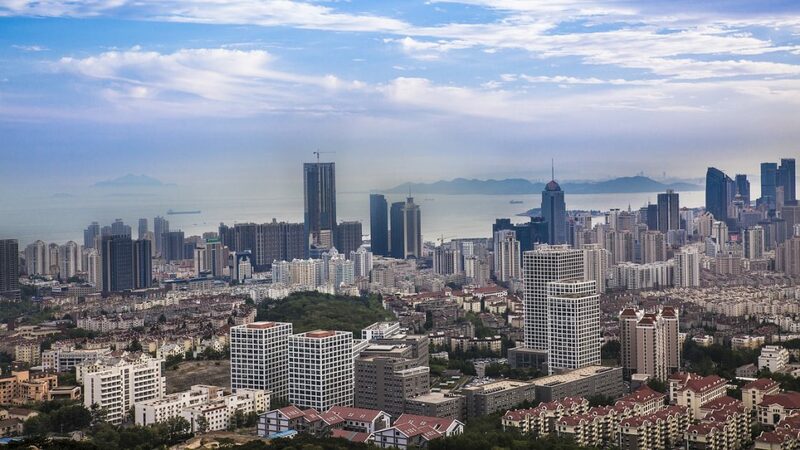 For some of the best panoramic views of Qingdao, Signal Hill Park is the place to be. It’s not too far outside of town and also not a difficult climb. 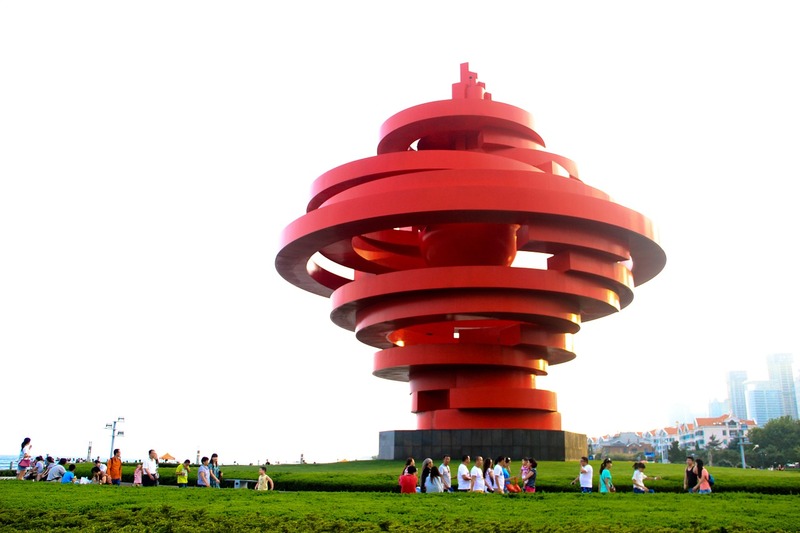 Check it out and get some exercise while you enjoy great views of Qingdao! You can’t visit Qingdao without taking a picture by this iconic monument which was built to commemorate the May Fourth movement. This square is a lovely place for a stroll, picnic, or other leisurely outdoor activities.